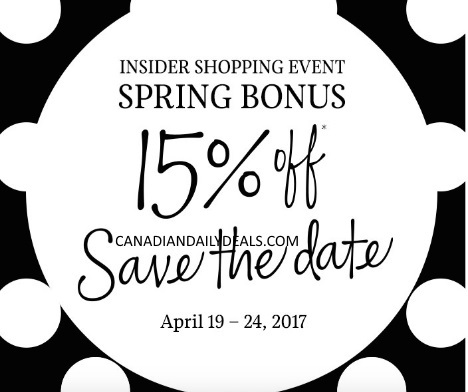 VIBs it's your turn to shop the Sephora Spring Bonus Insider Shopping Event! Save 15% off your entire purchase in-store and online with the accompanying promo code below! Sephora only has sales three a year, in the spring (this one) and one in the fall (that one is 20% off) and then a $ off coupon ($15/$20/$25 off $50) during the winter. Depending what level of Beauty Insider membership you are your discount varies and the end and start dates.